March 6, 2015 - PRLog -- APP Propane today announced the acquisition of the primary propane assets of PC Propane & Gas headquartered in Montesano, Washington. The addition of the PC Propane & Gas propane assets, provides APP Propane with hundreds of additional Grays Harbor & Pacific County propane customers who have been served by Patrick & Debra Connally of PC Propane & Gas. These new customers will join the customers currently served by APP Propane in the neighborhoods of McCleary, Elma, Montesano, Hoquiam, Quinault, Moclips, Ocean Shores, Westport, and Grayland in Grays Harbor County and the neighborhoods in Raymond, South Bend, and Tokeland in the Pacific County market. APP Propane serves the propane needs of homeowners, building contractors, commercial, and industrial customers. 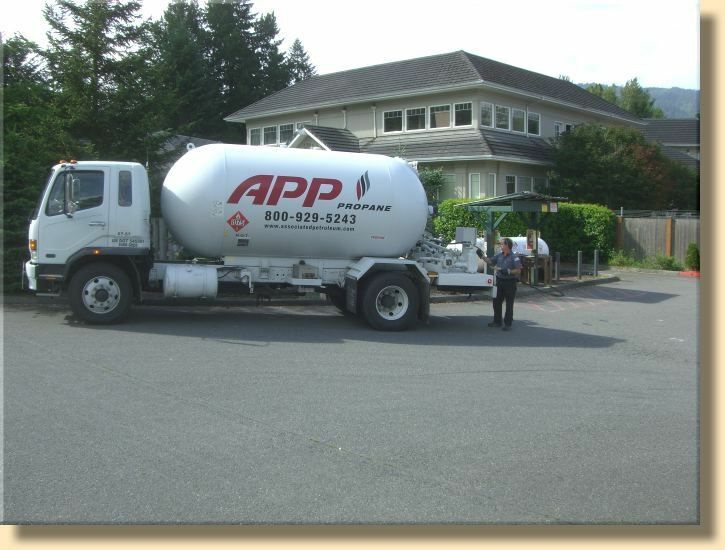 APP Propane stocks a complete line of propane tanks, and together with a quality pool of drivers and service technicians is able to quickly supply the propane needs of Western Washington and Northwestern Oregon propane customers. “APP Propane prides itself on being the Northwest’s Best Value in propane by being one of the fastest growing propane companies in the Nation, having grown from a start-up offering in propane in 2002, to become the 35th largest propane distributor in the United States in 2014,” stated Heidi Clarke, APP Propane Marketing Manager. “We do that by operating a modern fleet of propane bobtails, and with competitive prices and customer options including a wide range of customer friendly values including a Guaranteed Price Plan, designed for customers who want a fixed propane price each year", Heidi further commented. APP Propane is a Division of Associated Petroleum Products, a family-owned, second generation business that has been voted into the Top 150 Privately-Owned Companies in Washington State, one of the Ten Fastest Growing Companies in the State of Washington, One of the Top Places to Work, One of the Top 50-Propane Retail Marketers in the United States, and voted Best in The Northwest Washington Family Business of the Year. APP operates multiple locations in Western Washington and Portland, Oregon each featuring large quantities of fuels, lubricants, and propane, plus a chain of CFN and Pacific Pride cardlock and retail station services.